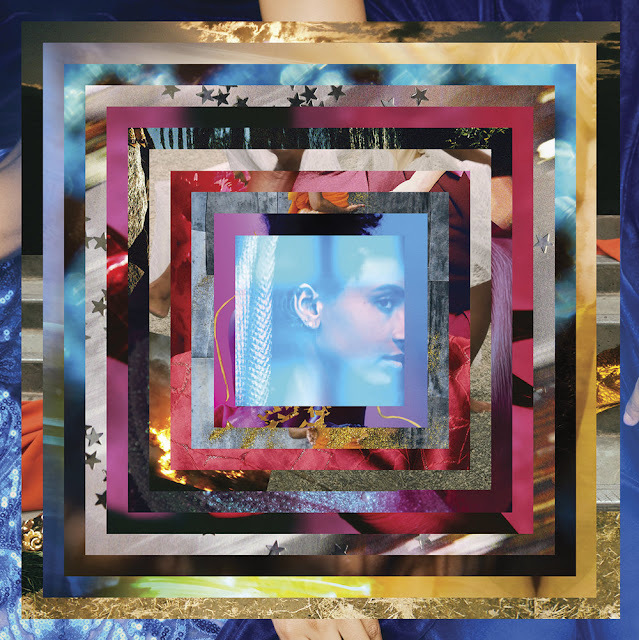 Music Television is very pleased to present Esperanza Spalding and the magic music videos for each of the songs, in order, from her album titled 12 Little Spells. Press the play button on the first video (and of course go high-res and full screen) you'll be able sit back and enjoy all twelve of the music videos that span the entire album non-stop without lifting a finger, followed by 14+ more hours of handpicked music videos from different artists to explore. Press forward to skip any video or click the rewind button to replay or return to previous songs. Enjoy! grounded sensation of perpetual connection with the immensity of the external world. for increased oxygen and circulatory support from the external world to anatomical and/or energetic lungs and heart. Via sensations of the conversational exchange - circulation - between the abundant “outside” and our internal body. Grounding the sensation of infinite exchange with external systems of support, in the bellows of our rib-cage cavity, mounted on the spinal pole. For the ability to speak sweet-water clarity during a flood of un-potable, and indescribable feelings and experiences. For increasing a sense of possibility that sustains vision through the illusory “un-fulfillment” stages, inherent in all development periods. Aides in revealing the hidden potentials behind ‘sight’ based perception filling the faculty of sight. For moving into the fullness of one’s individuality, their “thang” expressed in the unique gait of an un-inhibited stride. For increasing the level of tenderness in one’s touch, and perceiving and comprehending communication exchanges between animate or in-animate surfaces and the fingertips. increases the sensitivity to vibrational conversation, neurogamy and empathetic response between two or more individuals touching. aides in becoming aware of the energetic exchanges between the fingertips, fingers and palms when they come in contact with any surface (animate or in-animate). To listen with touch, through surfaces, and decipher the information emitted from them. For willingness to stretch ones feet into the depths of personal pain, shame, loneliness and desire. Promise of stepping stones laid along the bottom of that dark river, that meet the daring foot, dissolve terror and form a submerged path leading to the fountain mouth of true belonging, being and purpose. For un-locking, releasing and sending -through movement- the magic in one’s own body. For opening the portal connecting heaven and earth, the eye of intuition. Inward vision of heaven contained within, transmitting sight to earth plane (and vice-versa) widening the lid to the blue orb of divinity, socketed in the midriff. For relieving the loneliness and disorientation felt from the absence of fathers. To experience the connection to lineage trees growing through one’s limbs, and experience the presence of masculine support and expansion through one’s own arm bones. For recognizing progress one has made, but doesn’t feel. Affirms that every step taken has added up to the present point, and that effort exerted is forever contained in the memory of the legs. enables the forward leaning mind to listen to the legs when the legs offer guidance-from their memory mappings of distance traveled- by recalling each step taken thus far. For remembering the perfected animal buried in the cultural programs of thought processes, belief systems, and thought-based searching. Expels the tyrants of hamster-ball concern loops or stimulation loops imposing themselves on our minds via smartphones, Youtube, google and social media. Triggers the memory of grace, and whets the sensory appetite for intra-personal regard, and Self-cultivated esteem. For hearing in historical accounts, casual exchanges, news reports, songs, poems, poor-english, recovery testimony, threats, denials, intellectual oration, convictions, prayers, rejections, demands, cries, laughter and silence, all the terrifying vulnerability and singly transformative force of the human capacity for loving others.